Free – First come, first served, or follow them on Twitter to win tickets. Will have a number of food trucks serving their goods, along with lots of other exciting things to see and do. The lot is located at Park Blvd. & Imperial St, near the pedestrian bridge to the Hilton Bayfront. The San Diego Air & Space Museum will be hosting this food truck extravaganza on July 13-14 from 4-11pm over on Broadway Pier, featuring over 14 trucks, live music, and beer gardens. 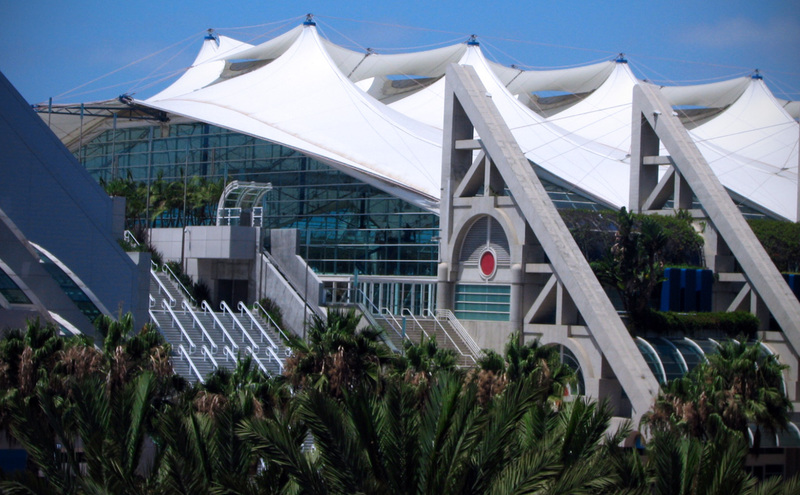 They will have $1 shuttles to/from the convention center & various hotels. Visit their event site for more info! A fake news network, but hopefully giving out candy! Promoting the upcoming film while giving out free ice cream! Jack in the Box, headquartered in San Diego, has their food truck serving burgers! The truck will be located in the Interactive Zone, next to Petco Park. The Munchie Mobile has a Facebook Page. Outdoor BBQ Semi-Truck (Island Ave & 1st St) – Will feature grub from San Diego local (and amazing) restaurants, Phil’s BBQ and Hodad’s.